Cooking can be so much fun for some of your friends and family. Help make their time even more fun with baskets that will bring a smile to their face. Even get the kids involved with some of the baskets. Nothings better than some ice cream and fun toppings to add something special to dessert night. 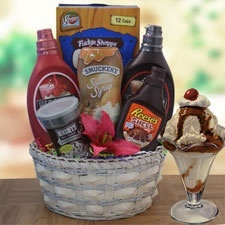 Our Sundae Fun basket is filled with everyone's favorite toppings to enjoy on ice cream along with some ice cream cones for the kids and kids at heart. Making cupcakes can be fun and creative with kids and friends. Basket comes with essential ingredients to make cupcakes with added items to decorate them. Share with friends and family bringing fun and smiles to the kitchen. Cookie, cookie who stole the cookie? Making cookies with friends, kids, and maybe significant others can be so much fun and tasty. 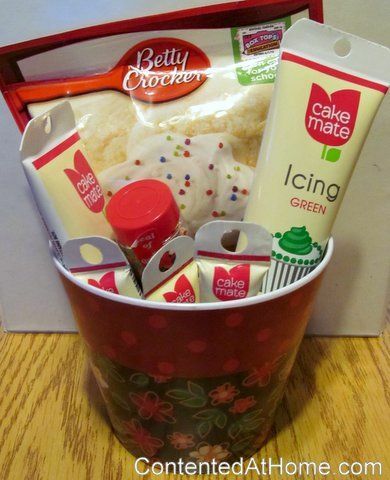 Our cookie basket is full of items that help bring out the cookie maker in everyone. As a bonus your basket will include yummy recipes to help expand your desserts in your cookbook. 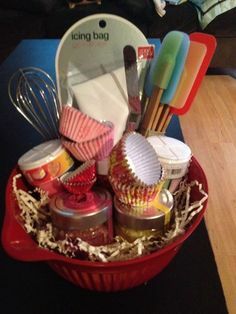 We not only offer dessert baskets but some other fun kitchen magic. How about getting creative with pasta's with a basket full of different pasta's, some recipes, and seasonings to add special flavor to your pasta's. Great for someone starting off on their own or for those couples that love to cook together. Nothing brings a family together more than a Sunday morning sitting around the table with fresh hot pancakes, biscuits and gravy, creamy oatmeal, and a hot drink. 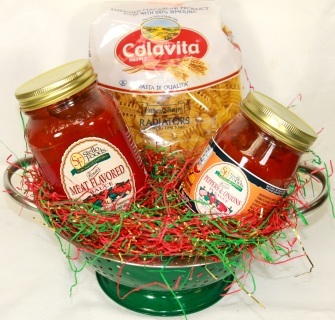 Basket is filled with many different choices for any breakfast hoping to please every family member. 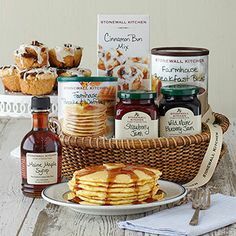 This family basket creates a fun way to share quality time together and some laughs enjoying some yummy breakfasts the best way to start each day.